So there I was this morning for my morning fix of coffee, and I happened to chance upon an on-going promotion by Starbucks Malaysia. 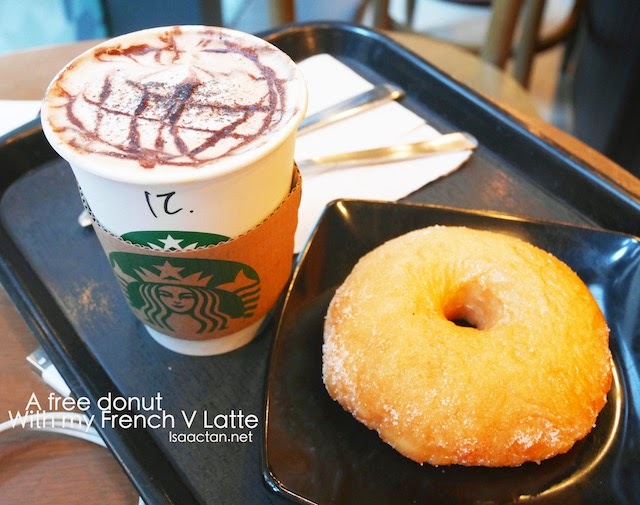 It was a simple one actually, buy yourself a French Vanilla Latte or Dark Caramel Latte before 11am from 15th October to 30th November and you get yourself a free donut. I had the Dark Caramel Latte the last round hence wasn't too keen on ordering that. Went ahead with the French Vanilla Latte, and it turned out pretty good. Of course for morning coffee, I prefer mine to be piping hot, and chose the latte hot version instead of the iced one. Nothing to shout about really, but hey, it's nice to have a free donut to go with my early morning coffee fix. 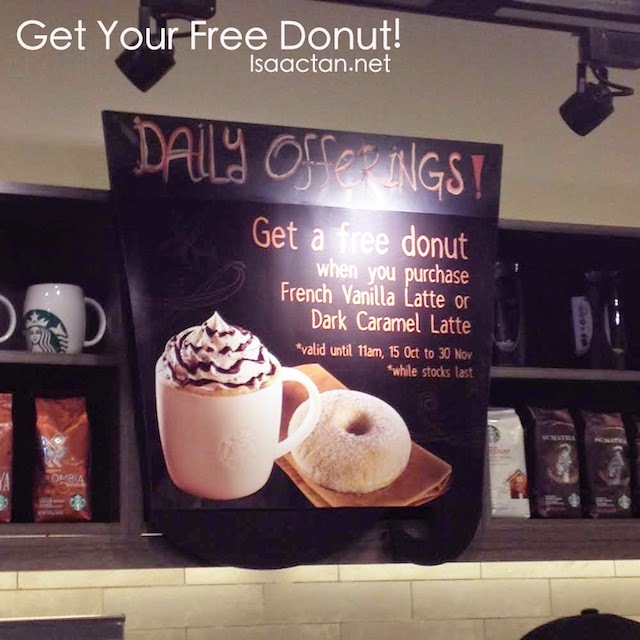 So do remember to catch the free donut promotion as it is on-going from 15th October to 30th November when purchasing the two new autumn coffee flavours, French V Latte and Dark Caramel Latte. Two new autumn coffee flavours, French V Latte and Dark Caramel Latte. None here but at the prices they're charging for their coffee, they sure can afford to give a free donut, no problem at all.